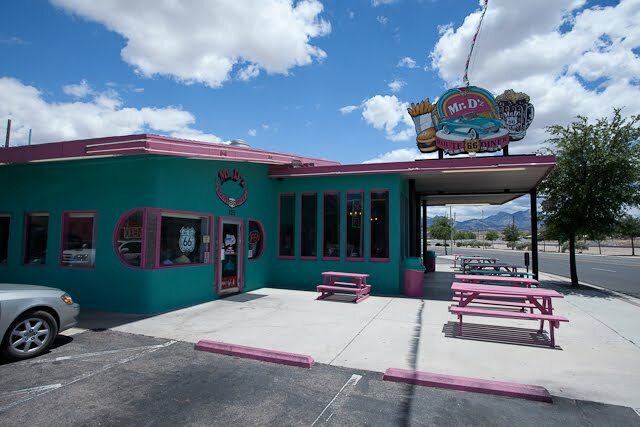 Mr. D’s Route 66 Diner in Kingman, Arizona is a nice stop on your visit to the old route 66. 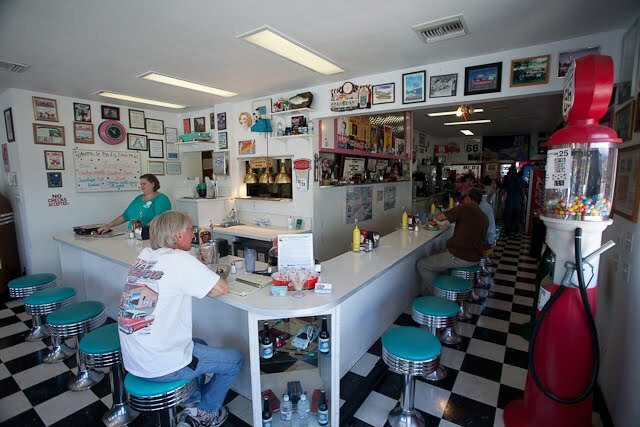 We set out to take the old Route 66 that breaks off from Interstate 40 from Kingman to Seligman. We kicked it off at Mr. D’s. The restaurant is a clean and attractive diner with pink and turquoise chairs and booths. I ordered a Cheeseburger ($6.95.) The patty is one half pound. The burger has shredded lettuce, tomato, onions and a pickle spear. 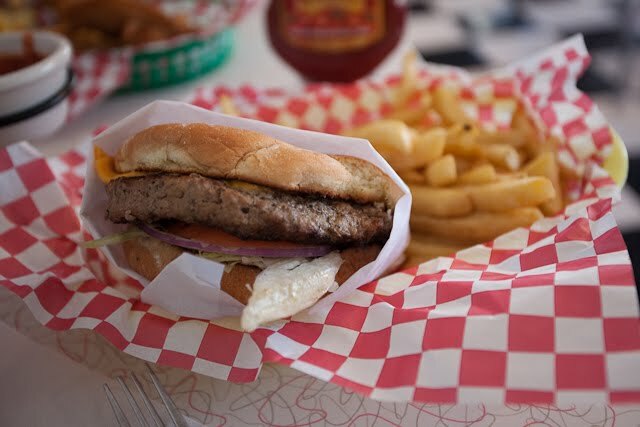 It comes with fries. It is a big burger, moist and cooked nicely, but obviously from a frozen patty. Bun was soft and toasted. The veggies fresh. Fries standard issue medium cut, but hot. The service was cheerful and the place had a nice charm. You could do a lot worse.